My recent review of the Sennheiser HD 820 prompted from questions from our subscribers, and inspired curiosity in me as well. They asked, “Okay… so what’s the difference between these and the Sennheiser HD 800 S?.” It’s a valid question too. Both headphones are made to listen at home, and Sennheiser claims that the goal of the HD 820 was to replicate the magnificent soundstage of the HD 800 S. Today, I will try to answer that question as best as I can with this Sennheiser HD 820 vs Sennheiser HD 800 S Comparison Review. The design of the headbands of the Sennheiser HD 820 and the Sennheiser HD 800 S are the exact same. Both have a slider along the top of the headband which is made of metal. It is used to extend the size of the headphones for different shaped heads. Additionally, they have shock absorbers where headband meets the yolks to adapt to different head shapes and sizes. The yolks of both headphones are designed very well and keep the tension off to avoid stress fractures. They attach to the back of their respective earcups and curl around to the top of the cups. Lastly, both headbands have a soft, microfiber-coated padding. As a result, they are extremely comfortable and lightweight. In general, the biggest difference between the Sennheiser HD 820 and the Sennheiser HD 800 S is, of course, one has a closed-back design, and the other has an open-back design, respectively. And although both headphones’ drivers are covered (the HD 820 by glass and the HD 800 S by a metal grill), they are both visible. As a result, they both have a similar vibe to their look. Additionally, there is more body to the frame of the earcup of the HD 820. It’s ridged embellishments are actually part of the frame as a whole. On the other hand, the ridged piece of the HD 800 S is super thin and pliable. It is a separate layer from the thicker frame around it. As a result, the HD 800 S has thinner and lighter earcups than the HD 820. Lastly, both headphones’ earcups house the connector for the cables. Therefore, their overall fit on the head is nearly identical other than the difference in weight. Both the Sennheiser HD 820 and the Sennheiser HD 800 S have earpads that follow the asymmetrical shape of their earcups. As a result, their earpads are the same shape as each others. However, the HD 800 S has much thinner pads than the HD 820. Their coated in the same microfiber coating as the headband. On the other hand, the HD 820’s pads are thicker. Around the earpad, they’re made of leather. On the flat side of the pad, where the pad touches the head,, they are coated in microfiber. The cables of both the Sennheiser HD 820 and the Sennheiser HD 800 S are pretty much identical. The only difference is that the HD 820, in addition to the cable with the 6.3 mm connector and the cable with the 4-pin XLR, it has a 4.4 mm Pentaconn cable. All of the included cables are sort of big and bulky. However, they are durable and have a cloth coating. Both the Sennheiser HD 820 and the Sennheiser HD 800 S have slight, subtle boosts in their low frequencies. However, it sounds like their low frequencies have emphasis in slightly different parts of the region. The HD 820 has a boost in the high part of the lows, almost bordering on the low-mids. Conversely, the HD 800 S has emphasis in the lower lows. As a result, both headphones have a similar feel and response to transients and energy in the low frequencies. However, they give precedence to slightly different areas of the low frequency spectrum and different instruments as a result. For example, when I was listening to MUNA’s song, Winterbreak-Tiesto’s Deep House Remix, the bass synth seemed to have more energy when I was listening to the HD 820. On the other hand, it felt more tucked in and even with the HD 800 S. Likewise, the kick drum seemed to have slightly more length and sub energy when I listened with the HD 800 S. And although the differences were subtle, the groove of the song felt a little bit different in each can. Both the Sennheiser HD 820 and the Sennheiser HD 800 S have a high-mid emphasis. However, the HD 800 S has an emphasis that is a little bit higher, bordering the lower high frequencies whereas the HD 820’s is a little bit lower in the high-mids. As a result, vocals sound more natural and brighter in the HD 800 S than the HD 820. For example, in the song Highways and Clouds by Amos Lee, his voice seems to sit more evenly in the mix when I was listening to the HD 800 S.
However, the HD 820’s boost helps melodies in strings, pianos, synths (etc), especially in meaty arrangements, stay on top so they are easy to follow and don’t disappear in the thickness. For example, in the song Moon and Sound by Keith Jarrett, Gary Peacock, and Jack DeJohnette, the piano really has the stage when I was listening with the HD 820. On the other hand, when I was listening with the HD 800 S, the cymbals had much more energy and sometimes would take the attention away from the piano. The high frequencies of the Sennheiser HD 800 S have more emphasis than the high frequencies of the Sennheiser HD 820. Both have an impressive sense of extension, but the HD 800 S high frequencies have more energy. These boosted highs are super even so they maintain the same character as the HD 820, whose highs are a light boost but are also quite even, even borderline neutral sounding. For example, in the song Growing Trade by Levon Help, the cymbals are higher in the mix when listening with the HD 800 S. However, with both headphones, those cymbals are long and full of rich harmonics. Both headphones high frequency responses have a very similar vibe, it’s just that the HD 800 S tilts up. The openness and elevated highs of the Sennheiser HD 800 S lays a blanket of slightly dramatic height over everything. It’s also super wide, expansive, and has a real sense of depth. On the other hand, the Sennheiser HD 820 centers more so in the middle of the height domain, with the height stretching up for particularly high frequency instruments and parts of the mix. The HD 820 has more of a sense of intimacy but still feels wide and expansive when the mix becomes wide and expansive. As a result, it has more contrast in the soundstage which provides emotional impact, even though it does feel quite as deep as the HD 800 S.
For example, in the piece La Mer, L. 111aL II, Jeux de vagues by Claude Debussy, the woodwind melodies sit more in the middle of my head when I listened with the HD 820. On the other hand, they say higher neat my forehead and beyond with the HD 800 S. When the strings come in to aid in the climax, it comes as more of a shock with the HD 820. On the other hand, a sense of width is there for much of the mix with the HD 800 S. The HD 800 S gets its emotional lift there moreso from the change in dynamic than the change in width. Both the Sennheiser HD 820 and the Sennheiser HD 800 S are awesome! The HD 800 S has a natural sounding frequency response. Conversely, the HD 820 demonstrates more contrast in the soundstage. As a result, neither is really better or worse, they’re just different. Your own preferences will determine which one is better for you. 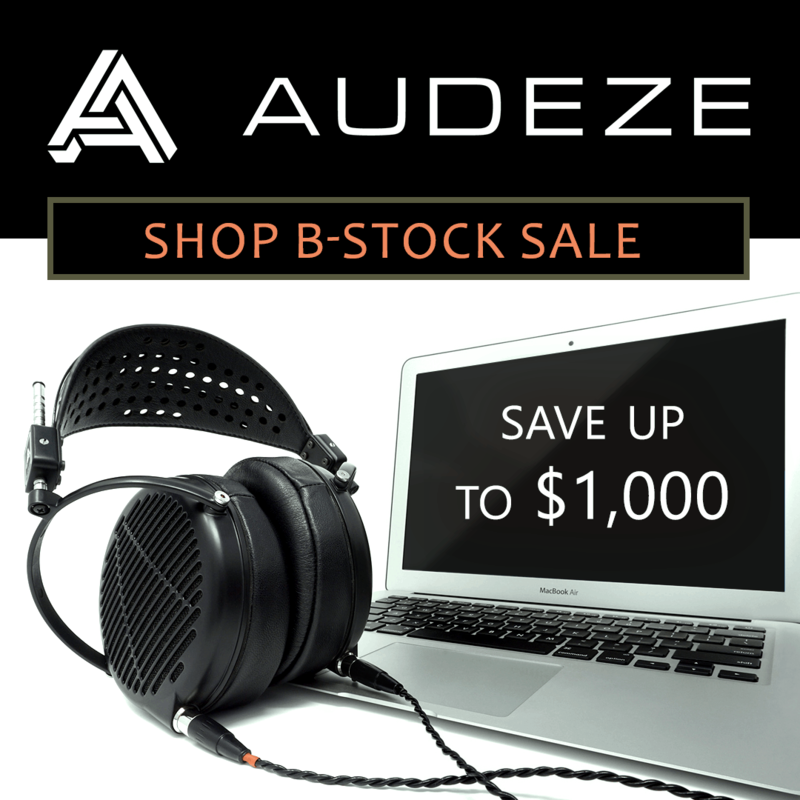 To save 10% on your first purchase at Audio46, use code “majorhifi” at checkout. Next articleGrado Wireless Headphones GW100, Everything We Know!